Hosting a business meeting is a big deal! It's your responsibility to find a great venue and plan out the details of your event. That can be a lot of pressure! Lucky for you, Old Kinderhook can help take that weight off your shoulders. We are experienced in pulling off business meetings at the Lake of the Ozarks. Whether it's a small group meeting or a large conference, we have options to make your business meeting the best experience for all attendees. We have flexible meeting space to accommodate your group's needs. From a small, close-knit meeting to a large conference, we can provide the perfect meeting space for your unique needs. Our various meeting spaces provide a great transition between meetings and break out sessions. Pre and post-meeting networking can happen in our comfortable spaces, as well. We also have audio, video, and other technology available for your group to use. We offer a ton of catering options to find the best fit for your group. 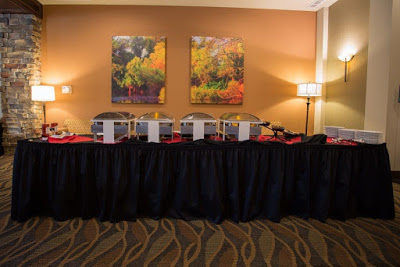 From a nice plated meal to a casual buffet, we can meet the wants of your group. We have great options for breakfast, lunch, and dinner, as well as a tasty snack selection to enjoy during breaks. A wide range of beverages are also available with our catering service. We can work with your preferences and budget to create the best catering options for your unique wants and needs. Our resort offers a wide range of amenities for our guests to enjoy. 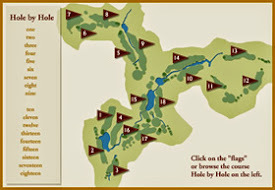 Hit our award-winning, 18 hole golf course after your morning meeting. It's a great way to get to know fellow attendees! You can also enjoy a delicious meal at The Trophy Room. Relax after your day of meetings on the deck, overlooking the beautiful golf course, with a cool beverage in hand! We also have sand-volleyball courts - The Sand - open for the summer. It's a great way to get active and bond with others after a day of meetings! Old Kinderhook has an indoor and outdoor pool for our guests to enjoy, as well. You can always sit back and enjoy the breathtaking views the Lake of the Ozarks offers! Our newly constructed hotel - The Lodge - offers 84 tastefully appointed rooms in a variety of double queen and single king options. We also have villas and cottages available to offer a more private place to stay. If you have a multiple-day meeting or simply don't want to make the drive home after your meeting concludes, it's the perfect place to stay! 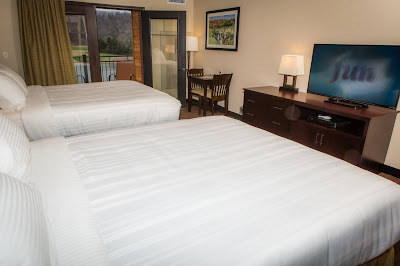 We pride ourselves in offering a comfortable and clean place for all of our guests! Our resort offers a retreat style atmosphere where you can relax and unwind while you take care of business. With our wide range of amenities to enjoy - it's the perfect place to spend time during and after your business meeting. Don't miss out on treating your business affiliates (and yourself) to a luxury retreat for your next professional gathering! In addition to our professional meeting spaces, we have a ton of on-site amenities your attendees can enjoy. 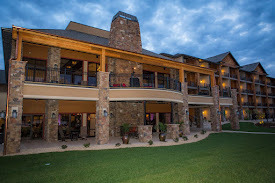 Golfing, dining, lodging, sand volleyball, AND more are some of the amenity options you can choose from. It's the perfect location for business and fun! We pride ourselves on offering a unique gathering space that's in a central location. 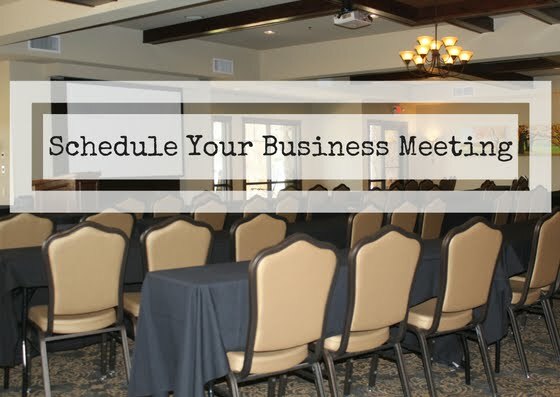 Now that you know what you can expect from your business meeting at Old Kinderhook, you're ready to make plans for your next event. 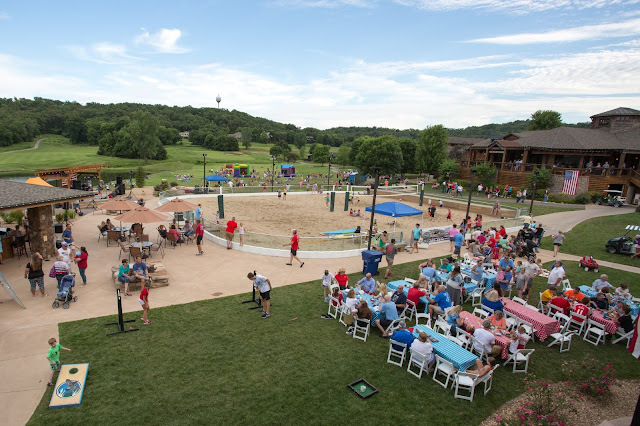 Our Lake of the Ozarks resort offers flexible meeting space, delicious catering options, and on-site recreational activities for your group to enjoy. It's the ideal place for your next gathering. Contact our sales office at 573-317-4447 to book your meeting space for your upcoming conference.